Generally, students get disturbed by their poor academic performance but they never try to understand the real causes behind them. Also, if you want to know what you can do to obtain better academic records in the future, the following post have been carefully handpicked for you. Try to discover the causes of poor academic performance through your study schedule and patterns which you used to studies. Moreover, investigating the key issues is very essential to find out the real causes behind it. Here, we have listed some common causes that are generally responsible for any student’s poor academic performance. Sometimes it’s good to request assistance for the educational purposes to resolve the problem of poor academic performance. Students must always look for project or assignment help from their teachers in order to get top results. But students don’t take the help, which further damages their grades and academic record. Remember that it does not matter how good student you are because even the top graders sometimes need the assistance for their custom essays. So, one of the major causes for not performing well in the academics is that students don’t take the assistance from others. One of the major causes, why you didn’t perform well in your last examination or test is that you study without a specific goal or direction. To achieve top performance in academics, you need to find the answer to the question: “what did I learn in my last study session?” You should know the end result of your every session of study to accomplish the objective of better learning. Studying without evaluation and figuring out the achievement of the previous study session causes poor academic performance. When you don’t have a proper study timetable and stick to it regularly, you tend to produce poor academic results. As you move forward in your education journey, you need to have a proper study schedule. When you don’t make a plan of study, you get completely lost and don’t know how, when and where to begin the study. It makes sense that if you don’t devise a schedule or calendar and work according to it, you would definitely end up showing bad academic performance. Sometimes studying hard doesn’t give better academic results. Most students study just one to two hours a day and they end up getting top academic results. On the other hands, many students study for three to four hours and yet they don’t get the desired results. Those students who don’t study smartly are always susceptible to getting poor academic grades. Studying in short time-intervals and grasping only the necessary information are some of the smart study options through which students can perform better academically. When you don’t study smartly, it becomes one of the reasons you are getting poor academic results. One main reason for showing up poor academic performance is not to study regularly for a short interval of times. 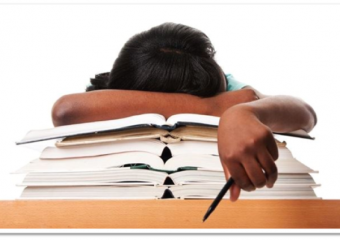 There is a misconception that studying for long hours one time in a day will make things right for students. But it’s the other way around as studying regularly two or three times in a day with shorter intervals improves a great amount of academic problem. This will help you to become habitual for studying and to absorb whatever they learn. If you don’t study in shorter intervals, it becomes a major cause for poor academic performance. You will always end up showing poor academic performance if they don’t hold yourself accountable for studying. You need to create a weekly or monthly schedule for learning and assign each subject to the specific date. When you study a particular subject according to the schedule, you must tick mark on it as a sign that you’ve completed the task. In this way, you will be able to check and review the schedule and find out how many time you have not studied. This will give you an instant report of their studying pattern and hold yourself accountable for your academic results. So, not holding yourself accountable for your studies is also a reason for your poor academic performance. Samantha Johnson is former educationist and an experienced content writer at Assignment Provider UK. She has a passion for writing on various issues related to education and students.